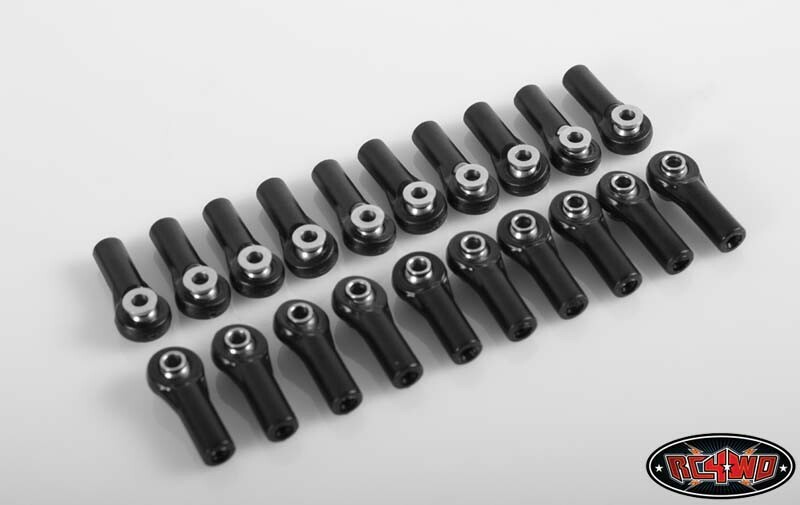 This is a set of 20 replacement straight plastic rod ends with Traxxas style balls. These accept m3 studs and the balls are sized to accept either #4-40 or M3 mounting hardware. 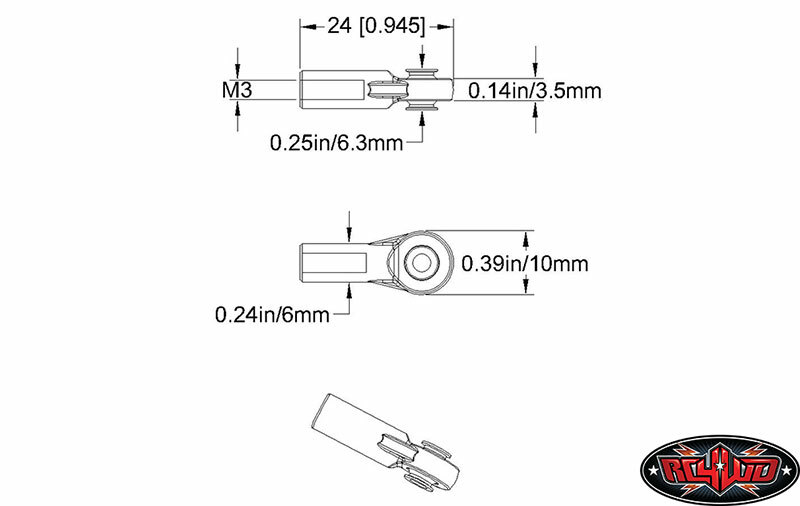 Perfect for completing your own set of 4-links, or to replace damaged rod ends. These are manufactured with the latest plastic compound from RC4WD! Shipping Charges: Our standard shipping charge for most replacement parts is a flat $5.00 fee. This product was added to our catalog on 12/25/2016.